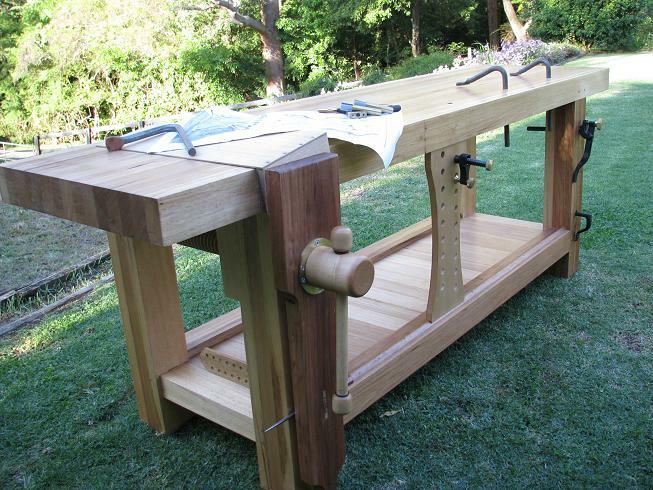 Adding our December 2011 Workbench of the Month from Lance K. of Sydney, Australia to our Lake Erie Toolworks Blog for ease of access and historical awareness. This is my school project that’s taken me 9 months to build and I’m very proud of it !! 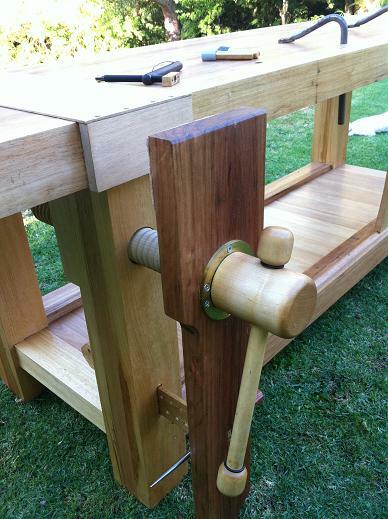 I made decision to build an an 18th century Roubo French traditional workbench. 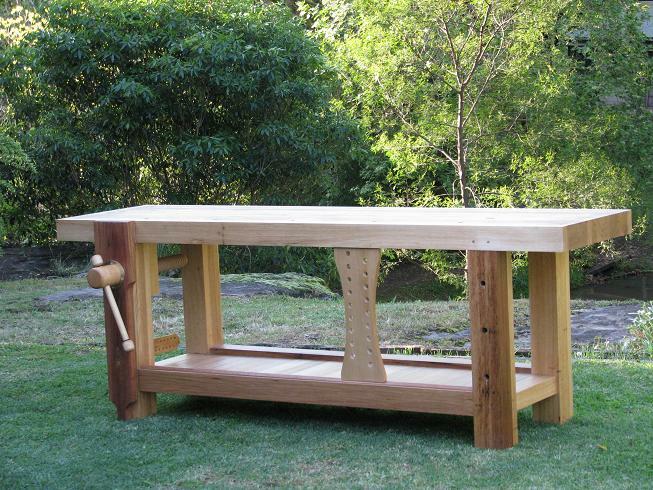 This design originally was created by Andre J.Roubo, a French cabinet maker and writer. I think it is an ideal format with almost none of downsides or limitations I’ve found on other forms. 1. Its simple design and simplicity makes it easy and quick to build. 3. The front legs and stretchers are flush to the front edge of the bench top, making it easy to work on the edges of boards or assemblies. 4. Its massive parts make it heavy and stout. This bench will not rack. The Roubo bench is capable of doing things I might not be ready to do yet, and when I am, my bench will be willing and wanting .